Jill’s contagious enthusiasm surprises and engages the listener immediately with a makeover that demonstrates the undeniable impact of first impressions. She illustrates the importance of communication, appearance and attitude, with confidence-boosting tips and tricks that can be put to use instantly. Your group will be laughing and learning from start to finish! Attitude and Image are the gateway to personal and professional success. These two components have a significant impact on each person we meet. Jill Swanson demonstrates this phenomenon like no one else can. By skillfully weaving education and entertainment, Jill unveils a remarkable, high energy before and after transformation that will leave your audience awestruck and ready to tackle life. Upscale your style and save money. Discover fashion secrets, accessory skills, and insider tips from a pro to help you shop cheap and rock chic. You can look simply sensational on a shoe string and reap the self confidence that comes with it. Informative, practical, and highly entertaining, this seminar delivers a cents of style every woman can use. You can project powerful, solid self-confidence by communicating on a new level. It’s a breakthrough perspective on how to use clothing and body language to sharpen your leadership skills, professional presence, and personal authenticity. Change your approach, change your clothes, and change your life. What’s in and what’s out? What styles work best for my body type? Where do I draw the line on fads versus fashion? Learn how to update, accessorize, and shop wise. Transform your closet and translate your personal style to embrace all you were meant to be. Look great, feel great, and communicate with this fresh and creative approach! Jill combines the language of color with a practical ‘how-to’ and reveals the best way to use hues—from clothing choices to environment. Enrich your world with a fresh perspective and experience immediate benefits—physically and psychologically. Feeling overwhelmed by life? Struggling with negative attitudes and a lack of motivation? It’s time to step up, step out, and step beyond as Jill shares a simple and life-changing challenge. Her personal story and strategy will inspire you to move onward and upward towards your dreams and goals. 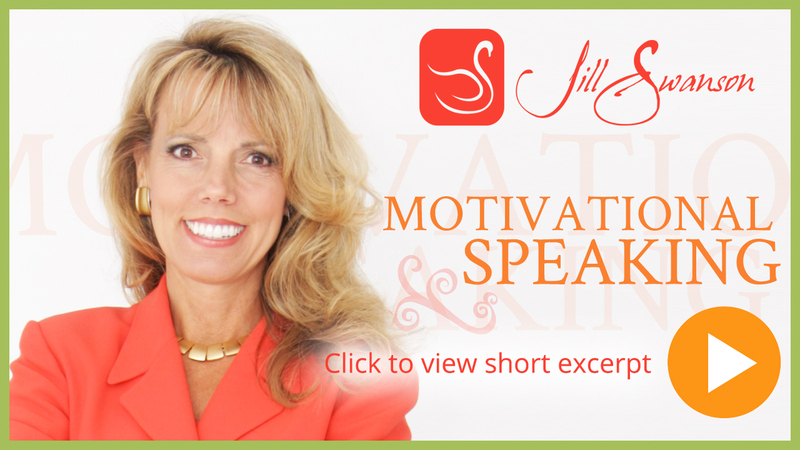 Jill will also create presentations to meet the needs of your business or organization. Jill is a certified image coach and member of the Association of Image Consultants international, she belongs to the National Speakers Association, Advanced Authors and Speakers and Christian Women in Media. Over the past three decades she has worked with hundreds of corporations including: IBM, Ameriprise, Mayo Clinic, NAPO, Sandy Cove Retreats, Thrivent, Ball State University, TransUnion and Hormel Foods.